The base-mark reads "Qianlong" (乾隆) in seal script. I don't have much of a snuff bottle collection, so hope other collectors have a better idea of dating for it than my guess of Republic. 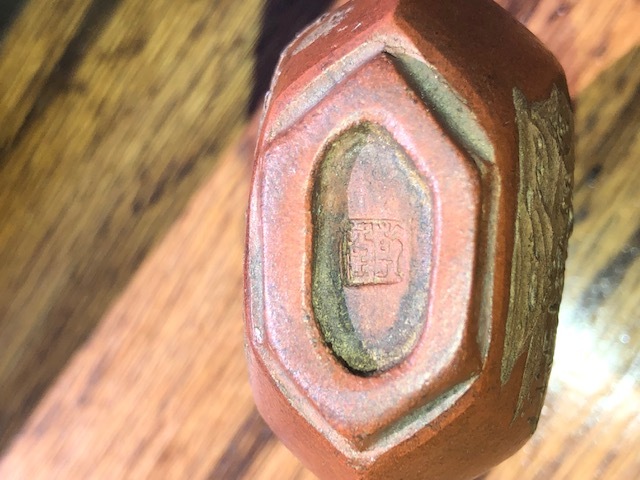 I've seen similar caps--yours is missing its stone--on some bottles that look to be circa mid-20th century. 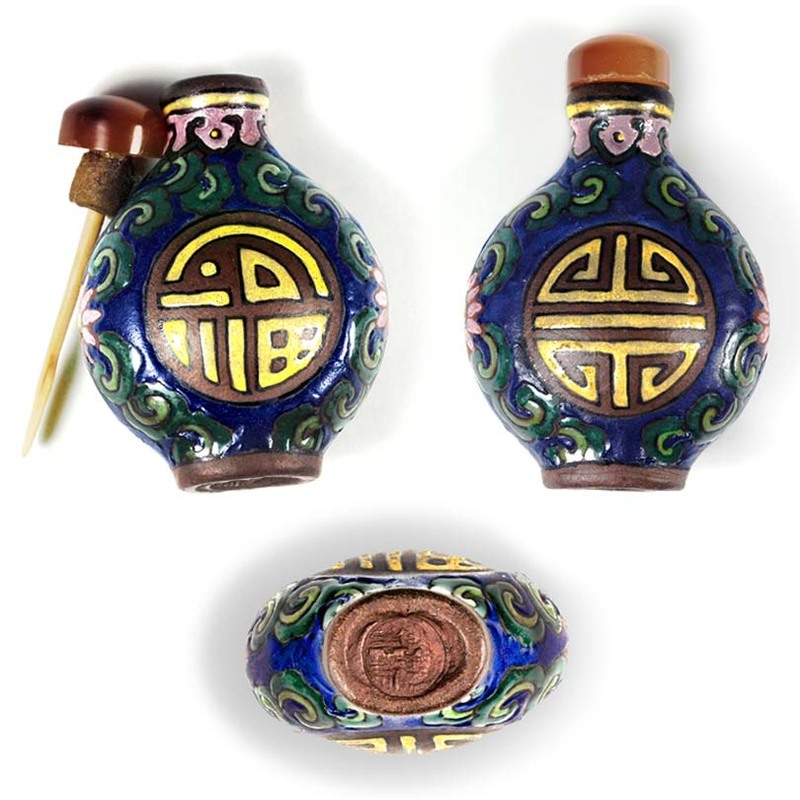 Here's a three-aspect image of one of my bottles that has polychrome enameling and a mark that someone may be able to read, but is too deformed for my paucity of skills reading seal script. I'd guess circa 1900 for a dating. Thanks for the translation, Bill! 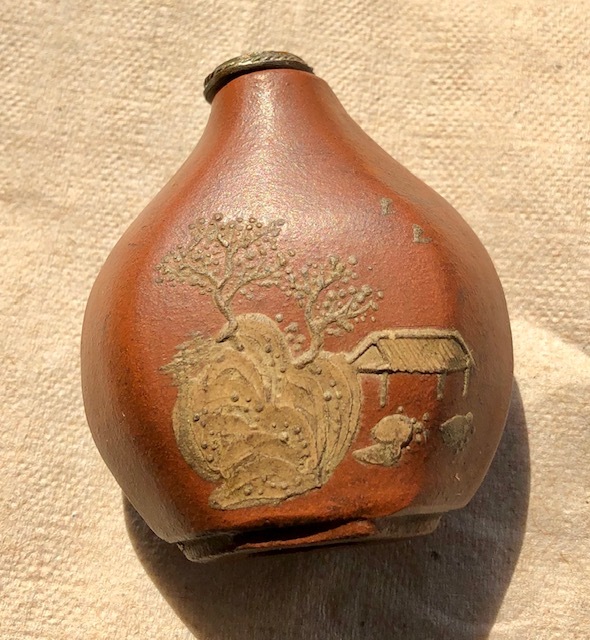 It has been dated from late 18th century to the 1970's by different members on the snuff bottle forum. Someone did also provide Qianlong as the mark ID after I posted here. In any event, I've learned a couple things and appreciate the lessons.